Not bad. THe firstpart of the elvel had fairly decent gameplay, and I see you made more efforts to use enemies in varied ways than last time... but it still didn't play brilliant, and it got repetitive. There was much mediocre placement, like where you just put lotads of bullet bill blasters in one place, and the water section was extremely generic with the fish placement. Backtrack is also only a bonus when the obstacles are really fun, otehrwise it drags the gameplay out unneccesarily. The visuals are alright, not incredible but decent. Tfd has it all tbh. the challenges you used were extremely repetitive and offered a lack of challenges, making you able to literally skip past everything with lots of ease... im kinda surprised this is getting so high rates as this was pretty boring to play. 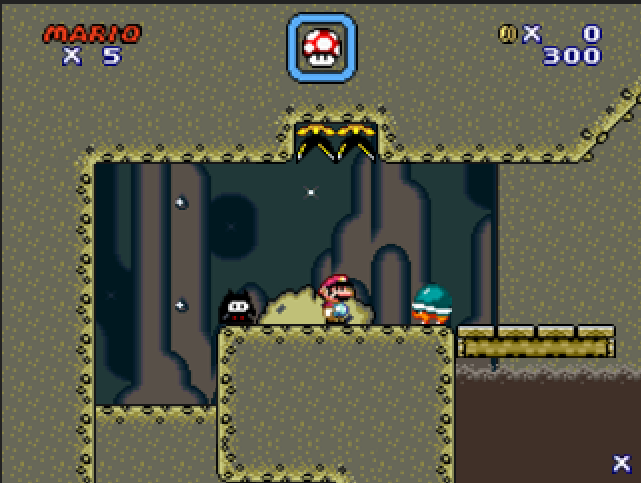 you missed out on the detailing in every way as enemies should've been moved around a lot and terrain should've been sharpened up to make the gameplay of this level feel right... but you didnt and ended up with some running through podobos, jumping right over neemies, rushing past a heckton of bullet bills, swimming in some dull waters... making for something quite bad. as a last thing: the start wasnt really safe, i died moving my hands to my arrowkeys, just an unfair bit of leveldesign. i wont go lower than 70 on this as this met my requirements for a decent level, but this is far from anything great to receive something higher than a 90.
qualifies as a level, but the design is pretty lacking, uncreative and extremely repetitive for a big part of the level.